Mr. Bohnett served from 2009-2018 as a member of the National Board of the Smithsonian Institution, the world’s largest museum and research complex. He remains the Vice-Chair of the Advisory Board of the Smithsonian Environmental Research Center. Bill sits on the Executive Committee of the U.S. Council on Competitiveness, a non-partisan NGO working on national competitiveness issues, and is a Board Member of American Forests, the nation’s oldest conservation organization. He has served on the boards of The Synergos Institute,City Harvest, the Island School and NYSunWorks, and was a member of the National Council of the Environmental Defense Fund, and a Visiting Fellow of the World Resources Institute. 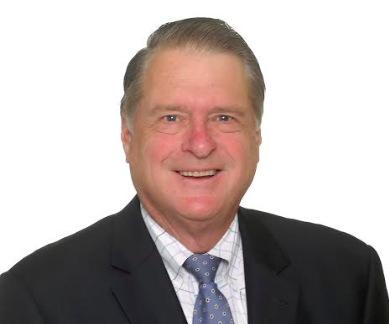 Bill also serves on the community grants review committee of the Palm Beach Community Foundation. Mr. Bohnett is the President of Whitecap Investments, LLC, a private investment firm. He is a special advisor to Baroda Ventures, an early-stage venture capital firm, and has participated in a number of the firm’s investments. As a former partner in the international law firm of NortonRoseFulbright, he developed and maintained an extensive global corporate securities practice. As such, he represented two NYSE-listed investment companies, several mutual fund complexes and conducted over 60 significant corporate financings, including initial public offerings, global funds investing in Asia, Europe, and Latin America and a variety of other public and private offerings. He was a founding investor and board member of GeoCities, an internet community company which went public in 1998 and subsequently was acquired by Yahoo! He is a graduate of Princeton University and its Woodrow Wilson School and the University of Pennsylvania Law School.